Hofstra Pride Guides: Fall Fest Weekend! Sugar Ray began to play, who was a awesome throwback band for everyone! 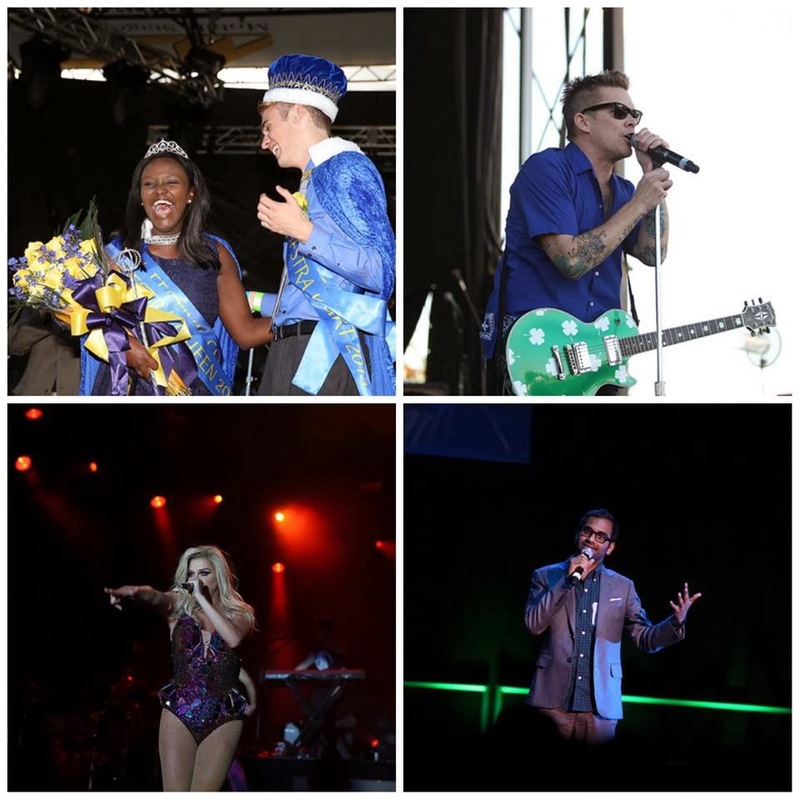 However, the headliner of the show is the one still having everyone talk on campus and even left everyone still covered in glitter...Ke$ha! Everyone in that crowd was dancing, singing, screaming for Ke$ha, and that wasn't even just the girls! But right after Ke$ha was done performing, the excitement, again, didn't end. From there, the crowd ran over to the Mack Center, leaving a trail of glitter behind,of course, for the Out Loud! comedy show with Aziz Ansari! After laughing so much, I don't think our student body and visitors could have taken much more, which is why this was a perfect way to end a fun filled Fall Fest weekend. Until next year!